In the last couple of months, Steam has been getting a lot of attention. Not necessarily because of the games that it’s been carrying, but because of its expanding support of different operating systems. If you haven’t heard already, Steam has made official plans to support Linux, and has already made substantial progress with their beta Linux client. It really won’t be too long before the Steam client is stable, so all that would be left to do is port games over to Linux. Now that such a major service is available for our favorite penguin, here’s a couple of reasons why you should at least consider making the switch. I’ll start with the obvious with a surprising twist – performance via Steam is a lot better. Of course, when compared to games played via Wine, it’s going to be faster because the games are played natively rather than through a compatibility layer. Performance is one of the most important aspects of gaming, so people shouldn’t take this significance lightly. Also, did I mention that Linux games played via Steam ran faster than those run on Windows? The exact same hardware produced better results on Linux for identical games. I’m sure no one expected that because I know I didn’t. Whenever you buy a game, you can’t be guaranteed that the game will even run with Wine. There is a database for Wine where the compatibility applications and games are listed, but that’ll only save you some money by telling you that it probably won’t work out as you might hope. 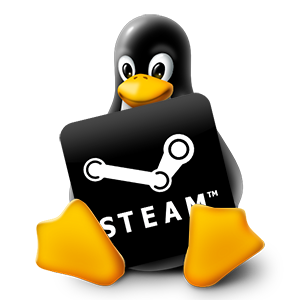 With Steam, however, all games available for Linux are guaranteed to work, no questions asked. With this argument, the only temporary downside is that the amount of available games for Linux is relatively small. I expect this number to grow dramatically over time. Of course, by switching to Steam you gain all of its great benefits. This includes occasionally cheaper prices (especially during sales), a completely online experience so that no physical media is ever necessary, updates to both the client and games whenever they’re released, and more. 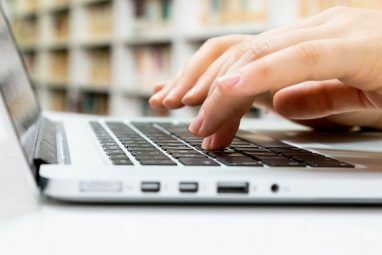 For example, if you reinstall the operating system on a machine, you can simply open up Steam and it’ll automatically download and install all of your old games, letting you sit back and relax. On Windows and Mac OS X, people have been very pleased with how Steam operates, so it is a reputable place to buy your games. Finally, by switching over to Steam, you’re making a statement. I’d be surprised if Steam’s effort towards Linux doesn’t interest your gaming soul, and as a community we need to show support for projects that we appreciate. 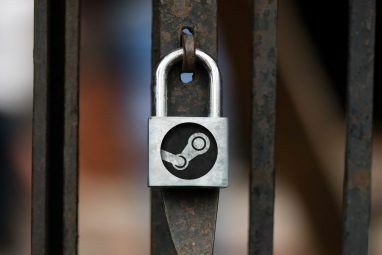 Switching to Steam will not only make Steam’s ventures into Linux worthwhile, but it also shows others that Linux is a competent gaming platform – people historically just haven’t put in enough time to get to some breakthroughs. If we can show to others that Linux people love to play games, and that they could make a profit by supporting Linux, they may be more willing to do so. And we all like more games, right? I absolutely understand if you’re a bit skeptical about switching over to Steam when the chance is high that your games haven’t been added yet. However, just give it some time and check regularly. Eventually a few of your games, as well as some new ones you might enjoy, should be part of those which run just fine on Linux. What do you think about Steam’s work in Linux? Have you thought about switching? Let us know in the comments! Explore more about: Steam, Wine. Two big reasons NOT to do it: DRM and game ownership. A lot of Linux users are Linux users in the first place because they care about the freedom(s) that comes with free and open-source software, and DRM is antithetical to software freedom (also, a failure with regard to its stated goals and, as I hope will be demonstrated as years pass by, a poor choice economy-wise in the long run). And, while you can argue that we don't own closed-source game binaries as well, per the EULA, I think it's obvious that you have way more freedom and/or versatility with physical media or a digital installable file than with a Steam, err, download. I'm not surprised performance is better on Linux than in Windows. Windows is just sooo...! Linux makes much, much better use of hardware. but how to play the pc games that you have already bought? Make use of Linux books to help me with Linux. Make use of keep up the good and hard work for us Dummy`s out here. Glad to hear you're making use of the Linux manuals! Amazing. This will be the best for Linux, I see Linux gaining lots of market share now. "Also, did I mention that games played via Steam on Linux ran faster than those run on Windows?" Where's the citation on this? Where’s the citation on this?" How about empirical, seat of the pants evidence? Even if Danny provides a citation, it is only going to be somebody else's opinion. Why not try it for yourself? Not just someone's opinion, but Valve's. As soon as they start porting the games over, I will use Linux as my gaming platform, but until then I will have to stick with Windows. I have over 150 games in my Steam library, so I am not going to make the jump very quickly. Probably a good idea, as most of them aren't available under Linux yet. I'm mainly waiting on Dirt 3 to be ported, if it'll happen. Doesnt work on 64bit yet. I'm not sure what issues you're having, but it does. I run Ubuntu 64-bit on my laptop and it's just fine. Just can't wait to play games on Linux with improved performance!!! Steam is still too limited with games available.I will wait for for further additions of games. Just give it some time. In another several months, there's going to be several hundred titles that run under Linux. I can't wait for the day when a major title launches with Linux support. Where does Steam download and install the games? By default, in your home folder, under .local/share/Steam, though you can place them in almost any folder. This is great if you've bought a lot of games from Steam, and you're content with what the Steam storefront has to offer, but if you're like me (buying used Windows games from GameStop, or replaying older games like Deadlock: Planetary Conquest or Baldur's Gate), you're limited to what can be ported and found on Steam...not me deciding what games *I* want to play. In that case, if I want to play a game on Linux, Wine is the best choice. If that's how you buy games, there's nothing wrong with using Wine. 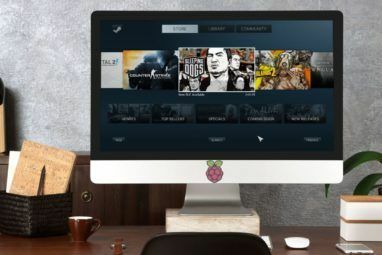 Steam is good option for those who buy games when they come out, and Steam will eventually have a few titles that are new and work under Linux at launch. "I’m sure no one expected that because I know I didn’t." Actually any long time Linux user would expect it because Linux tends to be more efficient with hardware and software than Windows. Always has been. The Linux desktops - KDE and GNOME - have been getting more bloated, but Linux in general is a pretty efficient system. Just look at the lines of code in Linux vs Windows. "Look at the lines of code in Windows"
I know that Linux is a lot more efficient, but the same cannot be said about the graphics drivers. Anyone can agree that the graphics drivers are superior in Windows simply because that's where most of the development focuses. If they were equally good, then yes, I would probably expect it. You make it sound like it is no big deal to port the games over. Isn't Steam just the DRM platform? So, yeah this means something but I don't see why you think it is that important. The manufacturers still have to decide it is worth the cost to port over the 99 plus percent of the code that has nothing to do with DRM. Not sure this is anything but a small incremental step that might mean more mainstreaming of Linux for gaming. I make it seem like a bigger deal because it's *the* commercial game experiment on Linux. It it works out great (which all evidence is pointing to), then it sends a strong message to game developers that it may be worthwhile to develop their games for Linux as well. So the importance comes in different aspects.